Home › 3 (2015) 2 › “Public History” – Sublation of a German Debate? The English term “Public History” is, as is so common for borrowed foreign words, discursively relaxing; an argumentative deus ex machina. It appears as an ideal compromise in a long-lasting and confusing German debate. There is much to be said in favour of this new approach and also for putting an end to theoretical pseudo-debates. The German debate about how to understand the massive increase in public interest in the past, which started in the late 1970s and was particularly focussed on the individual national histories of Germany, Austria, and Switzerland, has been in progress since the end of the 1980s. This debate appears to be increasingly self-referential—the bibliography could fill a book—and it deals with a wide range of competing concepts. Sometimes they refer to special, limited forms such as, for instance, the terms politics of the past (Vergangenheitspolitik; Norbert Frei) or politics of history (Geschichtspolitik; Edgar Wolfrum). However, they usually claim to cover the entire spectrum of phenomena related to how the past is dealt with publicly: Lieux de mémoire or memorial sites (Erinnerungsorte; Etienne François/Hagen Schulze, Georg Kreis etc. ), collective memory (Kollektives Gedächtnis; Jan Assmann, Aleida Assmann etc. ), culture of remembrance (Erinnerungskultur; Christoph Cornelißen etc. ), historical culture (Geschichtskultur; Jörn Rüsen, Bernd Schönemann etc.) and, recently, also in German-speaking areas: Public History (“Öffentliche Geschichte”; Paul Nolte). Within the historical sciences, a prevailing and lively competition between the concepts of culture of remembrance and historical culture has emerged. This conceptual competition, which has become highly charged with respect to science policy, has become a long-standing obstacle to a constructive, scientific investigation of concrete research problems; it leads to a fragmentation of discourse and also prevents institutions from targeting useful strategies. Individuals can, of course, pursue their own valid interests; nevertheless, the relationship between the concepts of a culture of remembrance and historical culture is, in substance, completely clear: the culture of remembrance is contemporary historical culture. In other words, the culture of remembrance is, due to its contemporary character, fluid and volatile. Once the negotiated contents of the culture of remembrance are correctly formatted institutionally and viewed calmly, as well as spelled out academically, they become material for historical culture. The two terms are by no means mutually exclusive; they are, in fact, complementary. What is needed is a dynamic understanding of contemporary history, based on a generational perspective and that does not rely on the common conventions of epochal fixation. 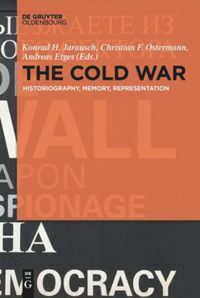 Accordingly, contemporary history is consistently understood as the “epoch of those now alive,” or also, as the continuously changing/moving stage of “communicative memory.” In other words, contemporary history is, here, the epoch of contemporary witnesses who, with the privilege, the anxiety, and the furore of personal experience, create non-professional meanings/interpretations that are able to assert themselves alongside professionally underpinned meanings/interpretations. This mixture creates the culture of remembrance, in its authentic sense without allegorical understanding, since the professionals are also involved biographically. Cooling down these quarrels transforms, so to speak, the discourse on meaning related to the past into a different state, allowing the emergence of historical culture that is partially, but significantly, negotiated, nurtured, and contested in another manner. Thus, the concepts of a culture of remembrance and historical culture not only can be used complementarily but they definitely should be used in this way. Only then is it possible to gain analytical access to the historical dynamics and volatility of the construction of cultural identity. – Public History makes the actors involved in the communication of history visible, not only as objects for analysis and evaluation; it also supports their positive self-image. This opens the door to a constructive level of communication between production and analytical criticism, whose absence is symptomatically exemplified by the petty, long-lasting bashing to which Guido Knopp was subjected. The important point here is the challenging blending of discourses and not a ‘schrebergartization’ (a narrow-minded reduction into fragmented allotments). – The reinforcing amalgamation of the various approaches and professions makes institutional innovations possible. There is a long overdue need to provide students of history with career perspectives besides academia and school teaching. This is already happening in Berlin (FU), Heidelberg, and Cologne. The demand for such professionals exists. – The English-speaking Public History discourse doesn’t include the research and practices of history teaching in school. This is a mutual blind spot. And it is a valuable experience that German colleagues could contribute to a joint debate. – Finally, the concept of PUBLIC history makes historians whose work is funded by taxpayers’ money increasingly aware of a professional dimension that has to be learned anew: science must go public, now more than ever. – This, in turn, leads to the heart of the current challenges: Public History must be analysed, understood, and produced digitally; otherwise, it will barely work out today and not at all tomorrow. The Public Historian (published for the National Council for Public History), University of Califonia Press, ISSN 0272-3433. Popp, Susanne u.a. (Hrsg. ): Zeitgeschichte – Medien – Historische Bildung. Göttingen 2010 (Beihefte zur Zeitschrift für Geschichtsdidaktik, 2). See Rüsen, Jörn: Lebendige Geschichte. Göttingen 1989. / Hardtwig, Wolfgang: Geschichtskultur und Wissenschaft. München 1990. Nolte, Paul: Öffentliche Geschichte. Die neue Nähe von Fachwissenschaft, Massenmedien und Publikum: Ursachen, Chancen und Grenzen. In: Barricelli, Michele / Hornig, Julia (Hrsg. ): Aufklärung, Bildung, «Histotainment»? Zeitgeschichte in Unterricht und Gesellschaft heute. Frankfurt/M. 2008, p. 131-146, here especially p. 143. For a very consistent differentiation between several contemporary histories, see Hockerts, Hans-Günther: Zugänge zur Zeitgeschichte. Primärerfahrung, Erinnerungskultur, Geschichtswissenschaft. In: APuZ (2001) B28, p. 15-30. As formulated by Hans Rothfels (1952) whose argumentation in his meanwhile classical essay on the subject is admittedly indecisive, as is well known. Assmann, Jan: Das kulturelle Gedächtnis. Schrift, Erinnerung und politische Identität in frühen Hochkulturen. München 1992, p. 48-56, following Vansina, Jan: Oral Tradition as History. Nairobi 1985. It is thus only logical that, particularly in Germany, the concept of a culture of remembrance is used very frequently because, as a negative reference to National Socialism, it represents an important aspect of the raison d’état. Consequently, the transition to another form of producing meaning has numerous political and didactic implications. See Volkhard Knigge: Abschied von der Erinnerung. Anmerkungen zum notwendigen Wandel der Gedenkkultur in Deutschland. In: id./ Frei, Norbert (ed. ): Verbrechen erinnern. Die Auseinandersetzung mit Holocaust und Völkermord. München 2002, p. 423-440. Korte, Barbara / Paletschek, Sylvia: Geschichte in populären Medien und Genres: Vom Historischen Roman zum Computerspiel. In: id. (ed. ): History Goes Pop. Zur Repräsentation von Geschichte in populären Medien und Genres. Bielefeld 2009, p. 9-60, here p. 11, FN 6. See Cornelißen, Christoph: Was heißt Erinnerungskultur? Begriff – Methoden – Perspektiven. In: GWU 54 (2003), 548-563. / Demantowsky, Marko: Geschichtskultur und Erinnerungskultur – zwei Konzeptionen des einen Gegenstandes. In: GPD 33 (2005) 1/2, p. 11-20 (online: https://www.academia.edu/4714387/Geschichtskultur_und_Erinnerungskultur._Zwei_Konzeptionen_des_einen_Gegenstandes_2005_, last accessed 22.1.15). See also, amongst others, the contributions of Wolfgang Hasberg (2004/2006) and Elisabeth Erdmann (2007). Grever, Maria: Fear of Plurality. Historical Culture and Historiographical Canonization in Western Europe. In: Epple, Angelika / Schaser, Angelika (eds. ): Gendering Historiography: Beyond National Canons. Frankfurt/M., New York 2009, p. 45-62, here p. 54f. Jordanova, Ludmilla: History in Practice. London / New York 2000, S. 149 (tnx to Alix Green for the friendly hint). Note, for instance, the projects and successes of the International Federation for Public History (IFPH) (URL: http://ifph.hypotheses.org, last accessed 22.1.15) or those of the United States National Council for Public History (NCPH) (URL: http://ncph.org , last accessed 22.1.15). An early German inventory Rauthe, Simone: Public History in den USA und der Bundesrepublik Deutschland. Essen 2001. See also Bösch/Goschler with a specific focus Bösch, Frank/ Goschler, Constantin (eds. ): Public History. Öffentliche Darstellungen des Nationalsozialismus jenseits der Geschichtswissenschaft. Frankfurt/M. 2009. See finally the recent foundation of SIG “Applied History” within the Association of German Historians (VHD): http://www.historikerverband.de/arbeitsgruppen/ag-angewandte-geschichte.html. Guido Knopp is a famous and infamous, but anyhow very successful German TV producer, specialized on history broadcasting for a wide audience. See for more information the wikipedia article (weblink). Hoffmann, Moritz: Geschichte braucht Öffentlichkeit. Vom Nutzen einer digitalen Public History. In: resonanzboden. Der Blog der Ullstein Buchverlage v. 14.01.2015, URL: http://www.resonanzboden.com/satzbaustelle/geschichte-braucht-oeffentlichkeit-vom-nutzen-einer-digitalen-public-history/ (last accessed 22.1.15). / T. Mills Kelly: Teaching History in the Digital Age. Ann Arbor 2013, pp. 126-130 et ibid. Arne Eickenberg (2007): A possible mêchanê model as used in ancient Greek theater, http://en.citizendium.org/wiki/File:Mechane_GreekTheater.jpg (Last accessed 21.1.2015). Demantowsky, Marko: “Public History” – Sublation of a German Debate? In: Public History Weekly 3 (2015) 2, DOI: dx.doi.org/10.1515/phw-2015-3292. Der englischsprachige Begriff “Public History” ist, wie so häufig entlehnte Fremdwörter, diskursiv spannungslösend, ein argumentativer deus ex machina. Er erscheint als idealer Kompromiss in einer lange und verwirrend geführten deutschsprachigen Debatte. Vieles spricht für diesen Neuansatz, Vieles auch dafür, theoretische Scheindebatten zu beenden. Die deutschsprachige Debatte darüber, wie man das seit Ende der 1970er enorm ansteigende öffentliche Interesse an der Vergangenheit, insbesondere der jeweils eigenen nationalen in Deutschland, Österreich und der Schweiz, verstehen solle, währt schon seit Ende der 1980er Jahre. Sie erscheint zunehmend selbstreferentiell, und man kann dazu in Buchstärke bibliographieren. In dieser Debatte gibt es einen ganzen Strauß konkurrierender Konzepte. Mal bezeichnen sie abgrenzbare Spezialformen, etwa bei den Begriffen der Vergangenheitspolitik (Frei) oder der Geschichtspolitik (Wolfrum). Meist beanspruchen sie aber, den gesamten Phänomenkomplex des öffentlichen Umgangs mit der Vergangenheit zu erfassen: Lieux de mémoire bzw. Erinnerungsorte (François/Schulze, Kreis etc. ), Kollektives Gedächtnis (Assmann & Assmann etc. ), Erinnerungskultur (Cornelißen etc. ), Geschichtskultur (Rüsen, Schönemann etc.) und neuerdings nun auch im deutschsprachigen Raum: Public History resp. Öffentliche Geschichte (Paul Nolte). In der Geschichtswissenschaft hat sich eine dominierende und rege Konkurrenz der Konzepte Erinnerungskultur und Geschichtskultur ergeben. Diese konzeptuelle Konkurrenz, die sich wissenschaftspolitisch stark aufgeladen hat, behindert längst eine konstruktive wissenschaftliche Auseinandersetzung über konkrete Forschungsprobleme, sie führt zur diskursiven Parzellierung. Sie hindert auch sinnvolle institutionelle Weichenstellungen. Es mag jeder seine berechtigten Interessen verfolgen, der Sache nach ist es jedoch eigentlich vollkommen klar, wie sich die Konzepte Erinnerungskultur und Geschichtskultur zueinander verhalten: Die Erinnerungskultur ist die zeitgeschichtliche Geschichtskultur. Anders formuliert: Erinnerungskultur ist durch ihre zeitgeschichtliche Prägung in einem flüssigen, volatilen Zustand. Sobald die verhandelten Inhalte der Erinnerungskultur institutionell zurechtformatiert und beruhigt sowie akademisch ausbuchstabiert worden sind, werden sie zu Gegenständen der Geschichtskultur. Beide Begriffe schließen einander also keinesfalls aus, sondern sie verhalten sich vielmehr komplementär zueinander. Vorausgesetzt wird ein dynamisches, generationenbezogenes Verständnis von Zeitgeschichte, das sich nicht auf die üblichen Konventionen der Epochenfixierung einlässt. Zeitgeschichte wird demnach konsequent als die “Epoche der Mitlebenden” verstanden, oder auch als die stetig wandernde Zeitspanne des “kommunikativen Gedächtnisses”. Mit anderen Worten ist Zeitgeschichte hier die Epoche der Zeitzeugen, die mit dem Recht, der Angst und dem Furor des Erlebthabens non-professionelle Sinnstiftungen produzieren, die sich neben professionell verstärkten Sinnstiftungen zu behaupten vermögen. Dieses Gemenge stellt Erinnerungskultur im eigentlichen, also nicht-allegorischen Sinne her (zumal ja auch die Profis biographisch involviert sind). Die Erkaltung dieser Händel überführt den vergangenheitsbezogenen Sinnstiftungsdiskurs gleichsam in einen anderen Aggregatzustand, lässt Geschichtskultur entstehen, die partiell, aber signifikant auf andere Weise verhandelt, gepflegt und bestritten wird. Die Konzepte Erinnerungskultur und Geschichtskultur können also nicht nur ergänzend verwendet werden, sie sollten es auch unbedingt. Erst dadurch erlangt man nämlich einen analytischen Zugriff auf die historische Dynamik und Volatilität kultureller Identitätskonstruktion. – Public History macht die AkteurInnen der historischen Vermittlungspraxis nicht nur als Analyse- und Urteilsobjekte sichtbar, sondern eignet sich auch für deren positives Selbstverständnis. Das eröffnet endlich eine konstruktive Kommunikationsebene zwischen “praktischer” Produktion und “theoretischer” Kritik, deren Fehlen sich im jahrelangen billigen Knopp-Bashing symptomatisch exemplifiziert hat. Auch hier kommt es doch auf ein herausforderndes Verbinden von Diskursen an und nicht auf eine spießige Schrebergartisierung. – Die stärkende Verbindung der unterschiedlichen Ansätze und Professionen macht institutionelle Innovationen möglich. Wie in Berlin (FU), Heidelberg und Köln geschehen, ist es längst nötig, Geschichtsstudierenden neben Wissenschaft und Schule weitere fachberufliche Perspektiven zu erschließen. Die doppelte Nachfrage gibt es. Die Universitäten sollten dieser Verantwortung nachkommen. – Der englischsprachige Public-History-Diskurs bezieht ausweislich seiner gängigen Definitionen bis heute die Geschichtsdidaktik (“history teaching”) nicht mit ein. Das erzeugt wechselseitig blinde Flecken. Hier hat der deutschsprachige Diskurs etwas Wichtiges zu bieten. – Schließlich rückt das Konzept der PUBLIC History eine professionelle Dimension aller steuermittelfinanzierter HistorikerInnen ins Bewusstsein, die von vielen erst wieder erlernt werden muss: Wissenschaft muss sich öffentlich machen, mehr denn je. – Dies führt wiederum zum letzten Kern aktueller Herausforderungen: Public History muss als digitale analysiert, begriffen und produziert werden, oder sie hat kaum heute und kein morgen. Siehe Rüsen, Jörn: Lebendige Geschichte. Göttingen 1989. / Hardtwig, Wolfgang: Geschichtskultur und Wissenschaft. München 1990. Nolte, Paul: Öffentliche Geschichte. Die neue Nähe von Fachwissenschaft, Massenmedien und Publikum: Ursachen, Chancen und Grenzen. In: Barricelli, Michele / Hornig, Julia (Hrsg. ): Aufklärung, Bildung, «Histotainment»? Zeitgeschichte in Unterricht und Gesellschaft heute. Frankfurt/M. 2008, S. 131-146, hier v.a. S. 143. Bis hin zur sehr konsequenten Unterscheidung mehrerer Zeitgeschichten bei Hockerts, Hans-Günther: Zugänge zur Zeitgeschichte. Primärerfahrung, Erinnerungskultur, Geschichtswissenschaft. In: APuZ (2001) B28, S. 15-30. In einer Formulierung von Hans Rothfels (1952), der in seinem klassisch gewordenen Aufsatz in dieser Sache allerdings bekanntermaßen unentschieden argumentiert. Assmann, Jan: Das kulturelle Gedächtnis. Schrift, Erinnerung und politische Identität in frühen Hochkulturen. München 1992, S. 48-56, im Anschluss an Vansina, Jan: Oral Tradition as History. Nairobi 1985. Es ist deshalb nur folgerichtig, dass insbesondere in Deutschland das Konzept Erinnerungskultur sehr häufig verwendet wird, stellt sie hier doch als negativer Bezug auf den Nationalsozialismus einen wichtigen Teil der Staatsräson dar. Deshalb besitzt der Übergang in eine andere Form der Sinnstiftungsproduktion viele politische und didaktische Implikationen. Siehe Knigge, Volkhard: Abschied von der Erinnerung. Anmerkungen zum notwendigen Wandel der Gedenkkultur in Deutschland. In: ders./Frei, Norbert (Hrsg. ): Verbrechen erinnern. Die Auseinandersetzung mit Holocaust und Völkermord. München 2002, 423-440. Korte, Barbara / Paletschek, Sylvia: Geschichte in populären Medien und Genres: Vom Historischen Roman zum Computerspiel. In: dies. (Hrsg. ): History Goes Pop. Zur Repräsentation von Geschichte in populären Medien und Genres. Bielefeld 2009, S. 9-60, hier S. 11, FN 6. Siehe Cornelißen, Christoph: Was heißt Erinnerungskultur? Begriff – Methoden – Perspektiven. In: GWU 54 (2003), 548-563. / Demantowsky, Marko: Geschichtskultur und Erinnerungskultur – zwei Konzeptionen des einen Gegenstandes. In: GPD 33 (2005) 1/2, S. 11-20 (online: https://www.academia.edu/4714387/Geschichtskultur_und_Erinnerungskultur._Zwei_Konzeptionen_des_einen_Gegenstandes_2005_, zuletzt am 22.1.15). Siehe u.a. auch die Beiträge von Wolfgang Hasberg (2004/2006) und Elisabeth Erdmann (2007). Grever, Maria: Fear of Plurality. Historical Culture and Historiographical Canonization in Western Europe. In: Epple, Angelika / Schaser, Angelika (eds. ): Gendering Historiography: Beyond National Canons. Frankfurt/M., New York 2009, S. 45-62, hier S. 54f. Jordanova, Ludmilla: History in Practice. London / New York 2000, S. 149 (vielen Dank an Alix Green für den Literaturhinweis!). Man beachte hier beispielhaft nur die Projekte und Erfolge der International Federation for Public History (IFPH) (URL: http://ifph.hypotheses.org, Letzter Zugriff 22.1.15) oder des US-amerikanischen National Council for Public History (NCPH) (URL: http://ncph.org, Letzter Zugriff 22.1.15). Ein frühe Bestandaufnahme bei Simone Rauthe: Public History in den USA und der Bundesrepublik Deutschland. Essen 2001. Siehe auch Bösch/Goschler mit einem spezifischen Untersuchungshorizont Bösch, Frank/ Goschler, Constantin (eds. ): Public History. Öffentliche Darstellungen des Nationalsozialismus jenseits der Geschichtswissenschaft. Frankfurt/M. 2009. Siehe schließlich auch die jüngste Gründung einer AG Angewandte Geschichte im VHD (http://www.historikerverband.de/arbeitsgruppen/ag-angewandte-geschichte.html). Hoffmann, Moritz: Geschichte braucht Öffentlichkeit. Vom Nutzen einer digitalen Public History. In: resonanzboden. Der Blog der Ullstein Buchverlage v. 14.01.2015, URL: http://www.resonanzboden.com/satzbaustelle/geschichte-braucht-oeffentlichkeit-vom-nutzen-einer-digitalen-public-history/ (Letzter Zugriff 22.1.15) / T. Mills Kelly: Teaching History in the Digital Age. Ann Arbor 2013, S. 126-130 et ibid. Arne Eickenberg (2007): Visualisierung einer mêchanê, wie sie im Theater des antiken Griechenlands zur Anwendung gelangte, http://en.citizendium.org/wiki/File:Mechane_GreekTheater.jpg (Letzter Zugriff 21.1.2015). Demantowsky, Marko: “Public History” – Aufhebung einer deutschsprachigen Debatte? In: Public History Weekly 3 (2015) 2, DOI: dx.doi.org/10.1515/phw-2015-3292. In the Russian case the term ”Public History” makes the Russian-language orthodox even more “sweat”. One can imagine the size of this. I like these thinking points. I completely agree with the Public History content including history teaching practices and teaching at school. And this practices and knowledge have to be an important part of the curriculum in history teacher training. One more trace in the discussion about the public history among the history profession in the USA is important and worth discussion in my view. It is about what kind of abilities and competences a standard graduate in history should have to understand the life of history in public. So I do believe that Public History is a special subject and socio-cultural space and it will make its way in Russia due to its societal importance and vitality. Für eine deutsche Variante des Kommentars bitten nach unten scrollen. Merci. 1. “Public History Weekly” has been online soon for two years now. Marko Demantowsky’s attempt to clarify the potential of the term Public History was therefore a good idea. 2. There are indeed numerous competing concepts for researching how history and the past are handled and presented. However, whether this conceptual competition helps or hinders “constructive, scientific investigation” has not been answered empirically. 3. According to Marko Demantowsky, the concept of a culture of remembrance (Erinnerungskultur) was “contemporary historical culture” (Geschichtskultur). This position has recently been put forward by Hans-Jürgen Pandel, too. While I am not sure if this really is the case it is certainly worth noting that some see substantial differences between both concepts and their epistemological potential. 4. There are undisputable advantages to the concept of Public History. It bears the potential to integrate competing concepts and to serve as an “umbrella”. That, however, does not release proponents of the concept or of similarly named degree programs from the task of defining the term as clearly as possible. I do not think that this is a matter of “theoretical pseudo-debates”, but one of academic professionalism. 5. During a recent lecture in Cologne, Habbo Knoch has put forward the interesting proposition that the didactics of history on the one hand and Public History researchers on the other hand aimed at different audiences: the former at a clear-cut audience of students in schools and universities, the latter at an amorphous public one. At first glance, this might seem to be a convincing criterion. We should, however, consider the fact that nowadays schools and universities are themselves confronted with very heterogeneous audiences. In addition, it should be noted that the didactics of history has widened its former narrow focus on school history at least forty years ago. The central category of historical consciousness represents this development. 6. I am not going to try and add to the numerous, often contradictory definitions of Public History by proposing yet another one. Serge Noiret recently noted on this blog: “Une définition universelle du domaine de l’histoire publique reste ambigue et contradictoire“. What seems most important to me – and, as far as I can see, to Marko Demantowsky, too – is to illuminate the heuristic potential of a Public History that does not limit itself to one historical period or one academic discipline, but instead seriously considers ways to cooperate with neighboring fields such as the theory of history, historical research, culture and media studies and the didactics of history. 7. On the theory of history: I find it astonishing that many proponents of Public History do not consider a central aspect of Jörn Rüsen’s theory of history, namely his matrix of historiography, also known as the cycle of historical thinking (to the best of my knowledge first published in 1983). There, history in life praxis – as some Public Historians understand the term – and history as an academic discipline have always referred to each other. This is a fundamental theoretical insight that helps to overcome dichotomies. 8. On the didactics of history: At least since the 1970s, this academic discipline no longer concerns itself exclusively with teaching methodology, but rather sees itself as the “science of learning history” (Jörn Rüsen) or the “science of the historical consciousness within a society” (Karl-Ernst Jeismann). It has thus broadened its field of research considerably. The category of historical culture, first established by Jörn Rüsen and later elaborated by Bernd Schönemann, has provided important impulses for Public History, a fact that receives growing recognition among Public Historians. Rüsen’s cognitive, aesthetic, political, moral and religious dimensions of historical culture provide an efficient heuristic tool to research the genesis of numerous phenomena within the field of Public History. Using the debates on central memorials in Berlin and Vienna, I myself have tried to demonstrate the importance of the economic dimension. Bernd Schönemann, on the other hand, helped to explore historical culture as a social system by differentiating its constituent parts – institutions, professions, media, and addressees – as well as by proposing dominant modes of relating to historical culture: history as a benefit, as education (in the sense of cultural capital) and as an event. 9. Last, but not least: Public History and the didactics of history can benefit from each other because in recent years, the didactics of history has extensively studied qualitative and quantitative methods to research how history is appropriated. This opens up a shared field of research which has hardly been explored yet. Cf. Hans-Jürgen Pandel: Geschichtsdidaktik. Eine Theorie für die Praxis. Schwalbach/Ts. 2013, pp. 161-177; Bernd Schönemann: Erinnerungskultur oder Geschichtskultur? In: Eugen Kotte (Ed. 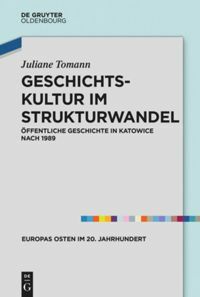 ): Kulturwissenschaften und Geschichtsdidaktik (Kulturwissenschaft(en) als interdisziplinäres Projekt, vol. 4). Munich 2011, pp. 53-72; Holger Thünemann: Geschichtskultur als Forschungsansatz zur Analyse des Umgangs mit der NS-Zeit und dem Holocaust. Konzeptionelle Standortbestimmung und ein Vorschlag zur kategorialen Differenzierung. In: Zeitschrift für Geschichtsdidaktik 4 (2005), pp. 230-240. Cf. Béatrice Ziegler: „Erinnert euch!“ ‒ Geschichte als Erinnerung und die Wissenschaft. In: Peter Gautschi/Barbara Sommer Häller (Eds. ): Der Beitrag von Schulen und Hochschulen zu Erinnerungskulturen. Schwalbach/Ts. 2014, pp. 69-89. 1) Seit bald zwei Jahren gibt es „Public History Weekly“. Es war daher eine gute Idee, dass Marko Demantowsky den Versuch unternommen hat, den Begriff der Public History und seine Potentiale zu klären. 2) In der Tat gibt es eine Vielfalt konkurrierender Konzepte zur Erforschung des Umgangs mit Vergangenheit und Geschichte. Ob diese konzeptionelle Konkurrenz „eine konstruktive wissenschaftliche Auseinandersetzung“ behindert oder eher beflügelt, scheint mir jedoch empirisch nicht geklärt. 3) Erinnerungskultur, so Marko Demantowsky, sei „zeitgeschichtliche Geschichtskultur“. Diese Position hat vor kurzem auch Hans-Jürgen Pandel vertreten. Ich bin nicht sicher, ob sie zutrifft, aber es lohnt sich, darauf hinzuweisen, dass es Stimmen gibt, die zwischen beiden Begriffen und ihren erkenntnistheoretischen Potentialen erhebliche Differenzen erkennen. 4) Unbestreitbar hat Public History als Konzept zahlreiche Vorteile. Es bietet Integrationspotential und kann als „Schirm“ fungieren. Das entbindet die Befürworter dieses Konzepts oder gleichnamiger Studiengänge aber nicht von ihrer Aufgabe, den Begriff so genau wie möglich zu definieren. Ich meine nicht, dass es hier um „theoretische Scheindebatten“ geht, sondern um wissenschaftliche Professionalität. 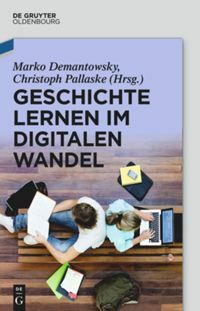 5) Habbo Knoch hat kürzlich in einem in Köln gehaltenen Vortrag die interessante These vertreten, Geschichtsdidaktik und Public History hätten es mit unterschiedlichen Publica zu tun: ein klar definiertes in Schulen und Hochschulen einerseits, ein relativ diffuses in der Öffentlichkeit andererseits. Dieses Differenzkriterium erscheint zunächst überzeugend. Aber man müsste diskutieren, ob nicht Schulen und Hochschulen heute ebenfalls mit sehr heterogenen Publica konfrontiert sind. Und man sollte ergänzend darauf hinweisen, dass die Didaktik der Geschichte seit mindestens vierzig Jahren ihre Beschränkung auf den schulischen Sektor überwunden hat. Dafür steht die Zentralkategorie des Geschichtsbewusstseins. 6) Ich will hier nicht den Versuch unternehmen, den vielen, einander oft widersprechenden Definitionen des Begriffs der Public History eine weitere Definition hinzuzufügen. Serge Noiret hat in diesem Blogjournal kürzlich zu Recht festgestellt: „Une définition universelle du domaine de l’histoire publique reste ambigue et contradictoire“. Mir kommt es ‒ und so verstehe ich auch Marko Demantowsky ‒ darauf an, nach den Potentialen einer Public History zu fragen, die sich nicht epochal, disziplinär oder auf welche Weise auch immer abschottet, sondern die die Möglichkeiten einer Kooperation mit Geschichtstheorie, Historischer Forschung, Kultur- und Medienwissenschaften sowie mit der Didaktik der Geschichte wirklich ernst nimmt. 7) Zur Geschichtstheorie: Ich halte es für erstaunlich, dass viele Vertreter der Public History einen Kernbestandteil von Rüsens Geschichtstheorie, nämlich seine Matrix der Geschichtswissenschaft bzw. seinen Regelkreis historischen Denkens (m.W. erstmals publiziert 1983), bisher nicht rezipiert haben. In dieser Matrix sind Geschichte in der Lebenspraxis ‒ im Sinne einer Public History ‒ und Geschichte als Fachwissenschaft immer schon systematisch aufeinander bezogen. Das ist eine grundlegende geschichtstheoretische Einsicht, die Dichotomien zu überwinden hilft. 8) Zur Didaktik der Geschichte: Sie versteht sich spätestens seit den 1970er Jahren nicht mehr als eine auf Fragen der Methodik beschränkte Unterrichtslehre, sondern in einem viel umfassenderen Sinne als „Wissenschaft vom historischen Lernen“ (Jörn Rüsen) oder „Wissenschaft vom Geschichtsbewusstsein in der Gesellschaft“ (Karl-Ernst Jeismann). Sie hat ihren Gegenstands- und Forschungsbereich also erheblich ausgeweitet und der Public History mit der von Jörn Rüsen etablierten und Bernd Schönemann weiter elaborierten Kategorie der Geschichtskultur wichtige und zunehmend auch als wichtig erkannte Impulse verliehen. Wer Phänomene der Public History hinsichtlich ihrer Genese untersuchen will, findet in Rüsens geschichtskulturellen Dimensionen des Kognitiven, des Ästhetischen, des Politischen, Moralischen und Religiösen ein heuristisch effizientes Raster. Ich selbst habe vor einiger Zeit am Beispiel der Denkmaldebatten in Berlin und Wien zu verdeutlichen versucht, wie wichtig darüber hinaus die ökonomische Dimension der Geschichtskultur ist. Und Bernd Schönemann hat mit seinen geschichtskulturellen Leitmustern ‒ Geschichte als Nutzen, als Bildung und als Erlebnis ‒ sowie mit den Dimensionen der Institutionen, der Professionen, der Medien und Adressaten wesentlich dazu beigetragen, Geschichtskultur bzw. Public History als soziales System besser zu erschließen. 9) Last, not least: Public History und Geschichtsdidaktik können auch deswegen voneinander profitieren, weil die Didaktik der Geschichte sich in den vergangenen Jahren intensiv mit den Methoden quantitativer und qualitativer Rezeptionsforschung auseinandergesetzt hat. Hier eröffnet sich ein gemeinsames Forschungsfeld, das von wenigen Ausnahmen abgesehen noch weitgehend brachliegt. Vgl. auch Hans-Jürgen Pandel: Geschichtsdidaktik. Eine Theorie für die Praxis. Schwalbach/Ts. 2013, S. 161-177; Bernd Schönemann: Erinnerungskultur oder Geschichtskultur? In: Eugen Kotte (Hg. ): Kulturwissenschaften und Geschichtsdidaktik (Kulturwissenschaft(en) als interdisziplinäres Projekt, Bd. 4). München 2011, S. 53-72; Holger Thünemann: Geschichtskultur als Forschungsansatz zur Analyse des Umgangs mit der NS-Zeit und dem Holocaust. Konzeptionelle Standortbestimmung und ein Vorschlag zur kategorialen Differenzierung. In: Zeitschrift für Geschichtsdidaktik 4 (2005), S. 230-240. Vgl. Béatrice Ziegler: „Erinnert euch!“ ‒ Geschichte als Erinnerung und die Wissenschaft. In: Peter Gautschi/Barbara Sommer Häller (Hg. ): Der Beitrag von Schulen und Hochschulen zu Erinnerungskulturen. Schwalbach/Ts. 2014, S. 69-89. Für eine deutsche Variante des Kommentars bitte nach unten scrollen. Merci. “Finally!” one might exclaim and thereby agree with Holger Thünemann: a contribution to the concept of “Public History” in the blog of the same name was overdue. Until now, as outsiders, one could get the impression that “Public History Weekly” is a blog about didactics of history. From a German-speaking perspective it is high time to deal with the term “Public History” in a conceptual manner. This is what one would precisely wish for from representatives at German universities (Berlin, Heidelberg and recently Cologne). But surprisingly one does not hear much from them. Of course, Public History in Germany is not yet an academically established discipline – and there is no telling if Public History will ever become one. Rather, Public History is a multidisciplinary research field in the best sense which deals with all manifestations of historical culture (Geschichtskultur) in and for the public and at the same time displays a sort of applied science orientation (Anwendungsorientierung). It is precisely this aspect that is, as a rule, especially important for students; academics, however, should not fail to focus on discussions of research topics, methods and theoretical concepts even though university administrations call for degree programs which lead to qualifying courses  and prepare students for business. If one would like to establish and possibly institutionalize Public History in an academic field, then clearly, in the future, consistently more and more intensive discussions about methodological and theoretical assumptions are necessary. As hinted at in the initial contribution and comments, one would want to place Public History within the science of history. After all, there are vast content intersections, particularly with the didactics of history which have, as the presenters also have emphasized, for quite some time not viewed its purpose to be limited solely to teacher training. But Public History is not only “related” to these subjects, but must, for example, also include in its research and, of course, in its education programs the so called “Historical Culture Studies” (Historische Kulturwissenschaften)  – that is so say, the archaeological subjects – and thereby those epochs that lie in the more distant past. Because Public History is – from a geographical and chronological point of view – a boundless research field and thus is not limited in place and time. But precisely this is currently unfortunately the case at our universities where “Public History” is offered or is being set up as a course of study: topics belonging to Contemporary History dominate. At the same time, for example, the Middle Ages, not to mention other historical periods and cultural areas, in no way lag behind in public awareness . Thus already in the 1980s, an “archaeomania” and “egyptomania” were observed. Up to now, the conceptual and methodological similarities to not genuine historical disciplines have been, as Holger Thünemann also alluded to in his sixth and ninth thesis, totally ignored; I include here European Ethnology/Cultural Anthropology. After all, the concepts (e.g. performance, experience, identity, heritage) that are dealt with and discussed there are of great significance for Public History and should be critically reflected. Besides, the methodology developed in these subjects, particularly with respect to qualitative research, can form the central basis for future empirical studies in Public History. Recently, I therefore proposed a conceptual and methodological opening to the “Culture Studies” (Kulturwissenschaften) . Because Public History, as a typical multidisciplinary research field, can certainly be understood and practiced as a historic-empirical Culture Studies. The Viennese philosopher Konrad Paul Liessmann provides a devastating criticism – and one can only agree with him – of the focus on competence (Kompetenzorientierung) that is prevalent everywhere in the educational system, see: Konrad Paul Liessmann, Geisterstunde: Die Praxis der Unbildung. Eine Streitschrift, Wien 2014, 45 ff. – Many thanks go to H. Moschner (Clearwater, FL) who proofread the text. Manfred K. H. Eggert, Archäologie: Grundzüge einer Historischen Kulturwissenschaft, Tübingen, Basel 2006; Jan Kusber/Mechthild Dreyer/Jörg Rogge/Andreas Hütig (Ed. ), Historische Kulturwissenschaften: Positionen, Praktiken und Perspektiven, Bielefeld 2010. Concerning the popularity of the Middle Ages see Valentin Groebner, Das Mittelalter hört nicht auf. Über historisches Erzählen, München 2008, and several articles in Thomas Martin Buck/Nicola Brauch (Ed. ), Das Mittelalter zwischen Vorstellung und Wirklichkeit: Probleme, Perspektiven und Anstöße für die Unterrichtspraxis, Münster u. a. 2011. Franz Georg Maier, Archäologie und moderne Welt. In: Bernard Andreae (Ed. ), Archäologie und Gesellschaft: Forschung und öffentliches Interesse, Stuttgart, Frankfurt a. M. 1981, 31–44; Dietrich Wildung, Gedanken zur Ägyptomanie. In: B. Andreae (Ed. ), Archäologie und Gesellschaft: Forschung und öffentliches Interesse, Stuttgart, Frankfurt a. M. 1981,77–82. Stefanie Samida, Public History als Historische Kulturwissenschaft: Ein Plädoyer, Version: 1.0, in: Docupedia-Zeitgeschichte, 17.6.2014, URL: http://docupedia.de/zg/Public_History_als_Historische_Kulturwissenschaft?oldid=97436. „Endlich!“, so mag man ausrufen und damit zugleich Holger Thünemann zustimmen: ein Beitrag zum Konzept ‚Public History‘ im gleichnamigen BlogJournal – das war überfällig. Bisher konnte man als Außenstehende den Eindruck gewinnen, als handele es bei „Public History Weekly“ um einen Geschichtsdidaktik-Blog. Es ist aus deutschsprachiger Perspektive schon lange an der Zeit, sich konzeptionell mit dem Begriff ‚Public History‘ zu beschäftigen. Dies würde man sich gerade von den – wenn auch bisher noch wenigen – Vertretern an den Universitäten (Berlin, Heidelberg und neuerdings Köln) wünschen. Doch von dieser Seite ist es bisher erstaunlich still. Sicherlich ist die Public History in Deutschland momentan noch kein akademisch etabliertes Fach – und es ist nicht abzusehen, ob sie denn je eines wird; sie stellt vielmehr ein im besten Sinne fächerübergreifendes Forschungsfeld dar, das sich mit allen geschichtskulturellen Äußerungen in der und für die Öffentlichkeit beschäftigt und zugleich, aber eben nicht nur, eine gewisse Anwendungsorientierung aufweist. Für die Studierenden ist in der Regel gerade dieser Aspekt besonders wichtig; für die Wissenschaft sollte aber die Diskussion um Arbeitsfelder, Methoden und theoretische Konzepte – auch wenn die Universitätsleitungen zunehmend nach Kompetenzen vermittelnden und damit berufsbefähigenden Studiengängen rufen  – nicht aus den Blick geraten. Möchte man eine Public History im universitären Kanon etablieren und möglicherweise institutionalisieren, sind zukünftig deutlich mehr und intensivere Diskussionen um methodische und theoretische Voraussetzungen notwendig. Wie im Beitrag und den Kommentaren anklingt, wird man die Public History innerhalb der Geschichtswissenschaft verorten wollen. Schließlich gibt es große inhaltliche Überschneidungen, speziell mit der Geschichtsdidaktik, die ihre Aufgabe, was die Vorredner auch hervorgehoben haben, schon seit längerem nicht mehr allein in der Ausbildung von Lehrern beschränkt sieht. Doch die Public History ist nicht nur mit diesen Fächern ‚verwandt’, sondern sie hat beispielsweise auch die Historischen Kulturwissenschaften  – also etwa alle archäologischen Fächer – und damit die weiter zurückliegenden Epochen in ihr Forschungs- und selbstverständlich auch Lehrprogramm einzubeziehen. Denn letztlich bearbeitet sie geografisch betrachtet nicht nur ein ‚grenzenloses‘ bzw. globales Forschungsgebiet, sondern sie ist auch zeitlich nicht auf eine Epoche beschränkt. Aber genau das ist derzeit an den Universitäten, an denen ein Studiengang ‚Public History‘ angeboten wird bzw. sich im Aufbau befindet, leider der Fall: zeitgeschichtliche Themen dominieren. Dabei steht beispielsweise das Mittelalter der Zeitgeschichte im öffentlichen Bewusstsein in nichts nach , ganz zu schweigen von anderen Epochen und Kulturäumen. So wurde schon in den 1980er Jahren eine „Archäomanie“ und „Ägyptomanie“  konstatiert. Völlig ignoriert wurde bisher, das hat auch Holger Thünemann in seiner sechsten und neunten These angedeutet, die konzeptuelle und methodische Nähe zu anderen, nicht genuin historisch-orientierten Fächern; dazu zähle ich die Europäische Ethnologie bzw. Empirische Kulturwissenschaft. Schließlich sind die dort erarbeiteten und diskutierten Konzepte (z. B. Inszenierung, Erlebnis, Identität, Kulturerbe/Heritage) für die Public History von großer Beudeutung und müssten kritisch reflektiert werden; zudem vermag der in diesen Fächern entwickelte Methodenkanon, besonders hinsichtlich der qualitativen Forschung, eine zentrale Basis für zukünftige empirische Arbeiten im Kontext der Public History zu bilden. Kürzlich habe ich daher eine konzeptuelle wie auch methodische Öffnung hin zu den Kulturwissenschaften vorgeschlagen. Denn Public History als klassisch fächerübergreifendes Forschungsfeld kann durchaus als historisch-empirische Kulturwissenschaft verstanden und praktiziert werden. Der Wiener Philosoph Konrad Paul Liessmann hat die allenthalben propagierte Kompetenzorientierung im Bildungssystem – und man kann ihm hier nur zustimmen – einer vernichtenden Kritik unterzogen, siehe: Konrad Paul Liessmann, Geisterstunde: Die Praxis der Unbildung. Eine Streitschrift, Wien 2014,45 ff. Manfred K. H. Eggert, Archäologie: Grundzüge einer Historischen Kulturwissenschaft, Tübingen, Basel 2006; Jan Kusber/Mechthild Dreyer/Jörg Rogge/Andreas Hütig (Hrsg. ), Historische Kulturwissenschaften: Positionen, Praktiken und Perspektiven, Bielefeld 2010. Zur Popularität des Mittelalters zuletzt Valentin Groebner, Das Mittelalter hört nicht auf. Über historisches Erzählen, München 2008 sowie zahlreiche Beiträge in Thomas Martin Buck/Nicola Brauch (Hrsg. ), Das Mittelalter zwischen Vorstellung und Wirklichkeit: Probleme, Perspektiven und Anstöße für die Unterrichtspraxis, Münster u. a. 2011. Franz Georg Maier, Archäologie und moderne Welt. In: Bernard Andreae (Hrsg. ), Archäologie und Gesellschaft: Forschung und öffentliches Interesse, Stuttgart, Frankfurt a. M.1981, 31–44; Dietrich Wildung, Gedanken zur Ägyptomanie. In: B. Andreae (Hrsg. ), Archäologie und Gesellschaft: Forschung und öffentliches Interesse, Stuttgart, Frankfurt a. M.1981,77–82. Stefanie Samida, Public History als Historische Kulturwissenschaft: Ein Plädoyer, Version: 1.0, in: Docupedia-Zeitgeschichte, 17.6.2014, URL: http://docupedia.de/zg/Public_History_als_Historische_Kulturwissenschaft?oldid=97436 (Zuletzt abgerufen am 31.1.2015). Marko Demantowsky has raised the important question of the theoretical and disciplinary position of Public History and thereby touched a sore spot. While Public History seems to grow institutionally in Germany, a theoretical self-reflection is still missing. He starts with the observation that the German debate has been marked by an antagonism between history culture and memory culture. This re-minds to the trouble of physicians on the irresolvable contradiction between the theory of relativity and quantum mechanics. In a similar manner, Marko Demantowsky also aims to provide a harmoniz-ing theory – or at least an umbrella –, and his choice is Public History. Can this work out? Maybe it is helpful to realize certain preconditions of the current boom of Public History. In its origins in the United States, Public History consisted of a blending of an impulse of democratization and employment policy: history should no longer be exclusively a matter of academic elites. Not only was the aim to question monopolies of interpretation but also to create new jobs for historians beyond the academic sector, taking into account that grassroots-historians also have to pay their mortgages and health insurance. However, the adaption and implementation of Public History in Germany is mainly a top-down-phenomena shaped by academic contemporary historians and experts in history didactics. While the former are building up on their already established media presence, the latter try to increase their influence which beforehand has been limited to schools mainly. Both groups focus, at time separat-ed, and sometimes united, on the vastly expanding market of Public History teaching in the last cou-ple of years. This should not be generally condemned as a bad development taking into account the responsibility of academic teachers for the professional future of graduates. Consequently, however, Public History in Germany so far has been mostly dealt with as a matter of employability and not of epistemology. Additionally, Public History still works mainly as an art of diffusion of historical knowledge, at least considering the already existing study programs. The latter are mainly focusing on providing histori-cal knowledge to a broad audience interested in history via as many different media channels as pos-sible. However, if Public History does not want to restrict itself into the dominant perspective of em-ployability, a super theory going beyond the conflicts of history culture and memory culture does not seem too attractive. Another alternative might be to replace the well-known diffusionist idea of knowledge transfer by an interactionist relation between science and public, which already has taken place in science studies for some time. Instead of being rather exclusively a technique of transferring historical knowledge and historical awareness, the field of Public History might also become an inter-face between different ways of genesis of historical awareness. In this way, the focus of Public Histo-ry could also shift towards the question of epistemology, and there would be no further reason to keep the already slackened memory boom treadmill going. Marko Demantowsky hat die Frage nach dem theoretischen und disziplinären Ort der Public History aufgeworfen und damit den Finger auf einen wunden Punkt gelegt. Denn während diese institutionell in Deutschland allmählich zu wachsen und zu gedeihen beginnt, fehlt es ihr immer noch stark an theoretischer Selbstreflexion. Zum Ausgangspunkt wählt er die Beobachtung, wonach in der deutschen Debatte ein Gegensatz von Geschichtskultur und Erinnerungskultur bestehe. Das erinnert an das Leiden der Physiker am unlösbaren Widerspruch von Relativitätstheorie und Quantenmechanik. Und ähnlich wie diese sucht auch Marko Demantowsky eine vereinheitlichende Theorie und findet diese nun in der Public History. Kann das gut gehen? Vielleicht hilft es, sich dazu einige Voraussetzungen des gegenwärtigen Public History-Booms zu vergegenwärtigen. In ihren Ursprüngen in den USA vermengte sich ein Demokratisierungsimpuls mit Beschäftigungspolitik: Geschichte sollte nicht mehr nur von den akademischen Mandarinen, sondern auch von denen da “unten” geschrieben werden. Damit sollten aber nicht nur Deutungsmonopole in Frage gestellt, sondern über kurz oder lang auch neue Arbeitsstellen für Historikerinnen und Historiker außerhalb der akademischen Wissenschaft geschaffen werden. Schließlich müssen auch Grassroots-Historikerinnen und -Historiker Miete und Krankenversicherung bezahlen. Bei der Adaption der Public History in Deutschland handelt es sich jedoch vorrangig um ein Top-down-Phänomen, das vor allem von akademischen ZeithistorikerInnen und FachdidaktikerInnen getragen wird. Erstere bauen damit auf ihre Medienpräsenz auf und letztere erweitern damit ihren lange auf die Schule beschränkten Wirkungskreis. Beide Gruppen schielen damit, manchmal getrennt, manchmal vereint, auf den in den letzten Jahren stark expandierten Markt der öffentlichen historischen Vermittlung. Das ist an sich nichts Schlechtes, nimmt man die Verantwortung für die Beschäftigungsmöglichkeiten von Absolventinnen und Absolventen ernst. Gleichwohl heißt das im Ergebnis, dass es bei der Public History bislang weniger um Epistemologie, sondern vor allem um Employability ging. Hinzu kommt, dass die Public History immer noch weitgehend als eine Art von historischer Diffusionswissenschaft auftritt, zumindest wenn man sich die bislang geschaffenen Studiengänge betrachtet. Dabei geht es anscheinend vor allem darum, historisches Wissen auf möglichst vielen medialen Kanälen – jetzt sogar im Internet! – an ein breites, historisch interessiertes Publikum weiterzugeben. Will man die Public History nun nicht in der bislang dominierenden Perspektive der Employability aufgehen lassen, so scheint mir allerdings der Weg einer Supertheorie jenseits der Konflikte von Geschichtskultur und Erinnerungskultur weniger verlockend. Ein alternativer Weg könnte sein, das vertraute diffusionistische Bild der Wissensvermittlung stärker durch ein interaktionistisches Verhältnis von Wissenschaft und Öffentlichkeit zu ersetzen, wie es in der Wissenschaftsgeschichte schon seit längerem geschehen ist. Aus einer Technik zur Vermittlung historischen Wissens und Geschichtsbewusstseins könnte die Public History dann stärker zu einer Schnittstelle zwischen verschiedenen Formen der Genese historischen Bewusstseins werden. Auf diese Weise könnte ihr Fokus auch ein wenig hin zu Fragen der Epistemologie verschoben werden, ohne das langsam träge werdende Tretrad des Memory Booms weiter antreiben zu müssen.